Stucco damage is often caused by water. 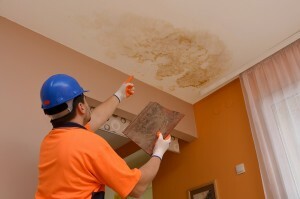 If you noticed that your stucco walls have blistering, staining, or mold, you could have water damage. Stucco siding is vulnerable to a multitude of issues that can cost you thousands of dollars. Here are the four common causes of stucco water damage. Hydraulic pressure happens when water moves from behind the stucco wall. It can result in blooming and eventually blistering. To avoid stucco damage, a moisture barrier will need to be constructed that has an efficient drainage. This enables water to travel from behind the wall instead of accumulating and causing damage. Additionally, you should avoid painting retaining walls since there’s a heightened risk of blistering. If you have this issue, you will need to have water removal in Alpharetta. Wicking happens when moisture is consumed into the stucco wall’s plaster. It can result in blistering, staining, and efflorescence. If this occurs, it was most likely caused by a deficient weep screed or poor installation. A weep screed is situated between the moisture barrier and the surface of the stucco. When the moisture travels through the stucco surface, the water flows down the screed and exits through the weep holes. If a weep screed is non-existent, then the walls can easily be damaged if they are plastered all the way to the ground. Many homes have flower beds that surround the base of the house. If you use sprinklers in your flower beds, you must ensure that the sprinklers were properly installed. When sprinklers aren’t properly installed, they can spray water directly onto the base of the walls. This can cause efflorescence and potentially blistering. Under some circumstances, a paper moisture barrier is damaged and is unsuccessful with keeping moisture away from the walls, which can cause mold to develop. There are cases where homes don’t have gutters that direct the flow of water away from your home. During rain, water runs down the stucco or falls directly to the ground and splashes against your house. You will notice that you have an issue if you notice dirty stucco at the base of your home. If you have water damage, you’ll need to act quickly for the mitigation of water in your home. A company that’s experienced with water damage removal in Alpharetta will respond immediately and complete water cleanup, drying, and repairs. Flooding can lead to structural damage and if your home is exposed to water for extended periods of time, it can damage your flooring and walls. Fortunately, you can have 24 hour water damage removal in Alpharetta if you experience flooding in the middle of the night. For additional information, give the experts at Integrity Restoration & Remodeling Contractors a call.